First stop Chatoe Rogue. Why? Portland, Oregon is home to the largest amount of microbreweries in the world. Rogue is the most popular of them, and pretty much the only one (famous for Dead Guy Ale) you can find in bars all over New York City (my current home). My parents happen to live in the boondocks of Oregon about 30 minutes west of Salem in a tiny town called Independence, which also happens to be the home of Chatoe Rogue, Rogue Hazelnut Farm, Rogue Pumkin Patch, and fields and fields of Rogue owned hops. So when you see the fist logo on a rogue label that's Rogue Farms, that beer came from little middle of nowhere Independence, Oregon. 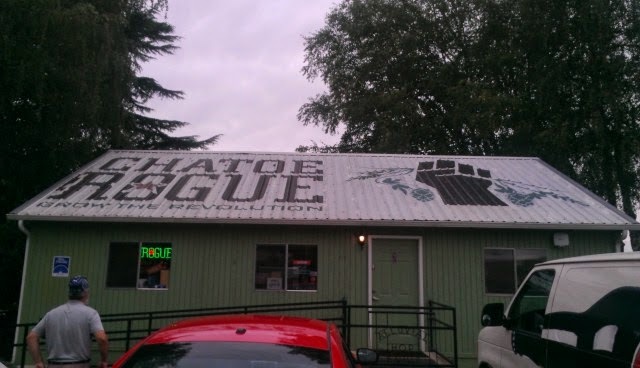 The staff at Chatoe Rogue is incredibly warm, friendly and knowledgeable. "At Rogue we grow our own, we made this ale with our own hops, barley & rye." Hell to the yeah, I like everything about this beer. 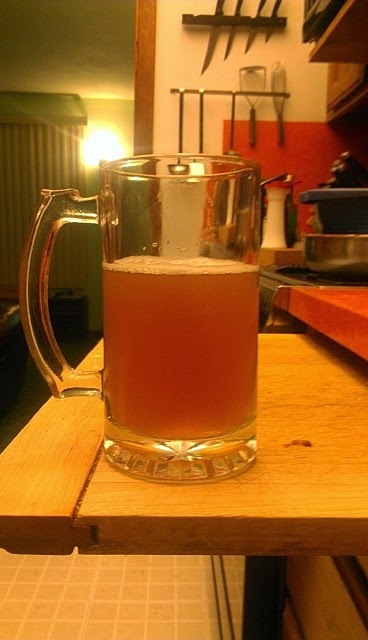 I was introduced to rye beer with Righteous Rye from Sixpoint. It was love at first taste, clean, and the harsh aftertaste many beers have is replaced by a gentle flavor similar to rye bread. Roguenbier Rye was the 3rd rye I've tried and I would rank them 2nd of the three, with first place going to Sierra Nevada's Ruthless Rye. Dylan Rating: 7 out of 10 bottles. 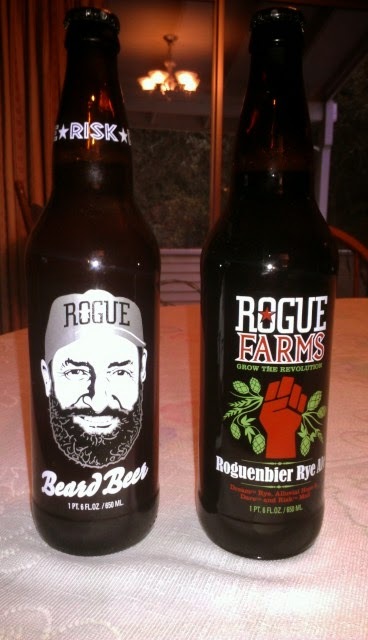 Overall synopsis: I'm becoming more and more of a rye beer fan, and Rogue's version did not disappoint. "Brewed with a yeast created from brewmaster John Maier's beard." Uh...what? They're joking right? Nope. They're serious. Labelled an American Wild Ale (I've never heard of that genre), this tastes like something crossed between a pilsner and a saison. That said, I've never tasted a beer quite like it before. Super cloudy, with a rich burnt sienna color (yup, I learned my colors from the crayola crayons 64 pack). Overall synopsis: Odd in a good way, very unique, and it kept me tasting, trying to decipher the flavors. I wouldn't buy it again though. It's a novelty beer that will probably sell well in Portland, Brooklyn, and other cities where beards are common on young men. However its a little too strange even for a beardo like myself. Great start. I would love to see photos of the beers so I can see the color of them. And more description on the flavor profiles. But this is great, I'm excited for you.